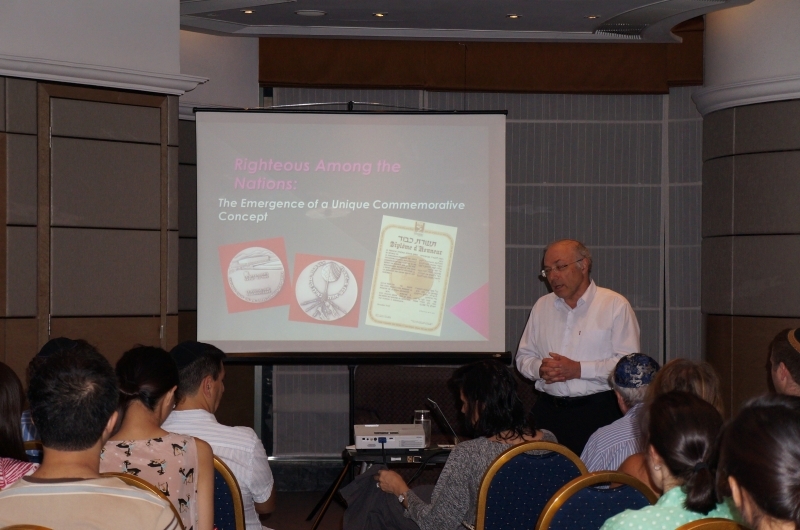 On 31st August we were delighted to welcome Dan Michman from Yad Vashem. Professor Michman is Head of the International Institute for Holocaust Research and Incumbent of the John Najmann Chair of Holocaust Studies. Professor Michman has been involved with Yad Vashem’s scholarly and educational activities since the early 1980s, is on the editorial board of Yad Vashem Studies since the mid1990s, and served as Chief Historian from 2000 till 2011. Proessor Michman spoke in the afternoon about ‘Jewish Councils in the Ghettoes’ and in the evening addressed the fascinating concept of ‘Righteous Gentiles- the emergence of a unique commemorative concept’. Both talks gave original and unusual insights into thier topics and stimulated a high level of discussion and conversation after the meetings.